request and someone will get back in touch with you soon. The Museum began assembly in 1991 in the back of the Pioneer Office at 3520 Elwood Avenue in Richmond, Virginia. Dedicated retirees gathered exhibits, wired switchboards to phones, set up displays, cataloged items and finally opened in May of 1993 during the annual Old Dominion Pioneer Reunion. Exhibits expanded over the years, with corporate contributions of equipment representing telephony over the years from outside plant, central offices, pbx's and private homes. Photos, tools, paper records, manuals and payroll cards represented a portion of items. Building signs, Vail Awards, photographs, newsletters and even some of a retiree's personal library accumulated in 1999. Bell Atlantic was completing a merger with Nynex and advised staff that the Ellwood building was to be vacated. That move was delayed until the GTE-Bell Atlantic merger formed Verizon. After things settled from that merger, Verizon provided space for the Museum in the 713 E. Grace Street building. Packing began in September 2004, with the move completed in October of the year. Setup at the new location was completed in the spring of 2005, with the official opening in June. All work after the move has again been done by retiree volunteers. 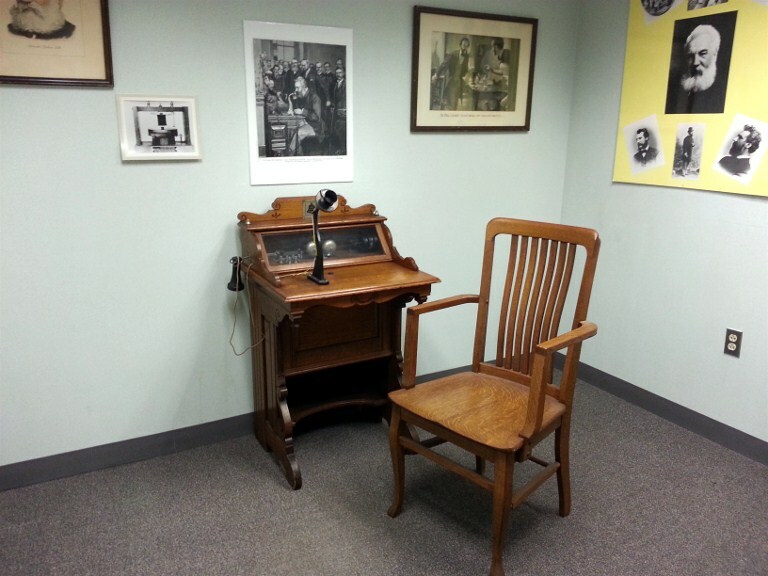 The new location has a library space, which holds telephony and Pioneer items for research and simply browsing. Currently the museum is open by appointment, by calling 804-772-1118 or 800-423-3422. School class trips are always welcome, and funds are available to assist with the cost of school busses to transport students to and from the Museum. Additional volunteers are always welcome. For information call the pioneer office. Copyright © 2003,2014 www.wcast.info - All rights reserved.